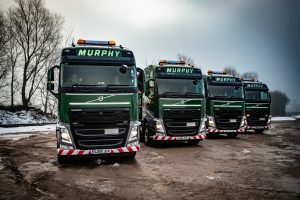 Murphy Plant has recently taken delivery of 11 Volvo FH chassis fitted with Sterling cheesewedge beavertail plant bodies, demonstrating their commitment to their company ethos of reducing emissions and increasing sustainability. The company improved the sustainability of its fleet operations by achieving a significant reduction in fleet emissions and making considerable safety and sustainability improvements. In keeping with this ethos, all Murphy HGV vehicles are fitted with close proximity safety equipment such as side-scan detection cameras and warning systems. 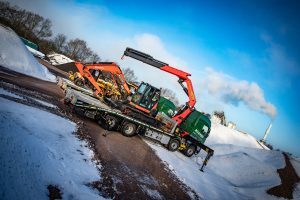 Murphy Plant collaborated with Sterling GP to configure a versatile beavertail truck body specification to deliver their huge range of plant and equipment to J Murphy & Sons sites across the UK. The focal point is Sterling’s unique cheesewedge ramp systemwhich folds to form a flat deck – ideal for transporting static equipment. Rail channels have been fitted to the deck of the beavertail trucks to allow safe transportation of rail plant equipment. Also, a removable handrail system has been fitted, providing fall protection for the drivers. 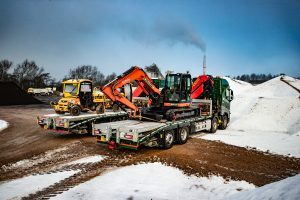 Mike Carpenter, managing director of Murphy Plant commented ‘reliability, driver preference, and service’ were the deciding factors for choosing Sterling beavertail bodies on Volvo Trucks with Palfinger cranes. J. Murphy & Sons Limited is a leading global, multi-disciplined engineering and construction company founded in 1951 that improves lives by delivering world-class infrastructure. 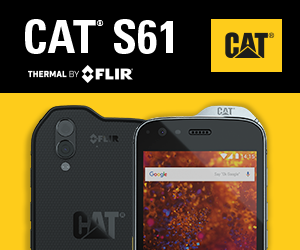 As a company, they believe in making significant investments in plant equipment and their people. 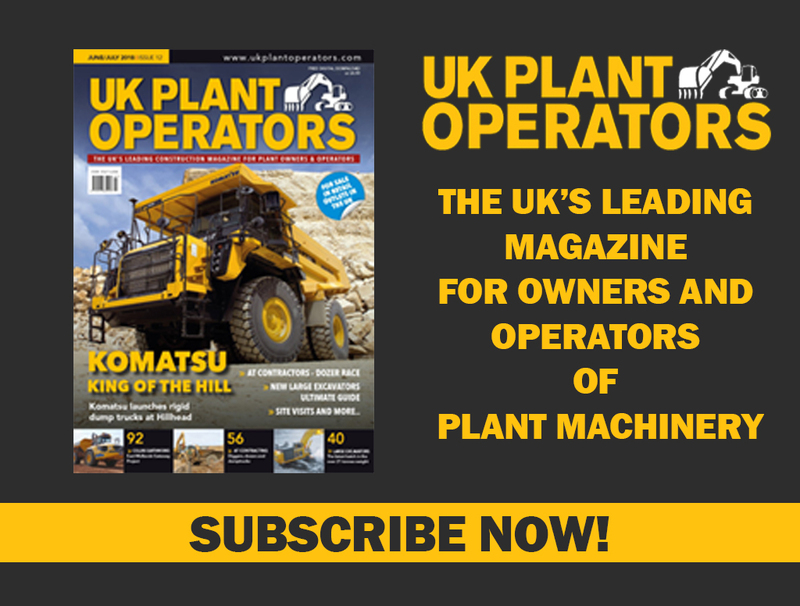 This helps Murphy Plant to deliver their projects with a highly-skilled, experienced workforce who use modern and well-maintained equipment. Murphy Plant owns, manages and maintains a substantial holding of plant and transport equipment. Murphy holds a gold status from the Fleet Operator Recognition Scheme (FORS)run by Transport for London (TfL). FORS is an industry-led voluntary scheme for fleet operators whose purpose it is to raise the level of quality and performance within fleet operations. Every Sterling beavertail truck built for Murphy Plant has met the stringent FORS Gold requirements which include safety items such as side sensors and cameras for protecting other road users in urban environments. Two key features on the trucks are the banksman lighting which lights up the ground area surrounding the truck whilst in the dark and deck lights to mark the outlines of the body – all part of the vision to transform safety for those on site.